Energy efficiency is the most important aspect of the Automatic Train Operation (ATO). 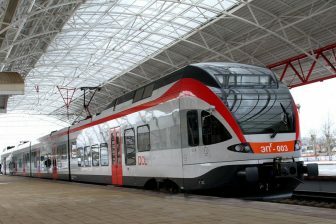 Benoît Bienfait, System Program Manager at Alstom Belgium, argues that the ATO system will allow reducing energy consumption by railway undertaking from 12 to 45 per cent depending on the travel distance. He will specify the topic in details at the RailTech Europe conference in Utrecht. “All initiatives and innovations are welcome to reduce energy consumption. ATO is one of the most profitable. 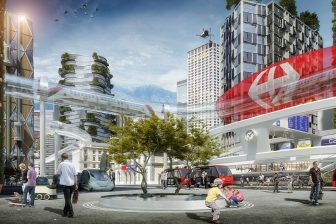 Indeed, tests performed with actual drivers on a train simulator have demonstrated that energy saving could lead to 12 per cent for intercity operation (30 kilometres between two stations) and 45 per cent for local operation (one to three kilometres between two stations),” the manager explained. According to Mr Bienfait, ATO is also capable to reduce the minimum operational headway. “ATO reduces the energy consumption optimising the speed profiles. For the same travel time, there are good and less good ways to drive. ATO always is maximising coasting where it is possible considering, among other things, the track gradients. Indeed, ETCS (European Train Control System – RailTech) does not consider the driver reaction times for safe brake curve computation. 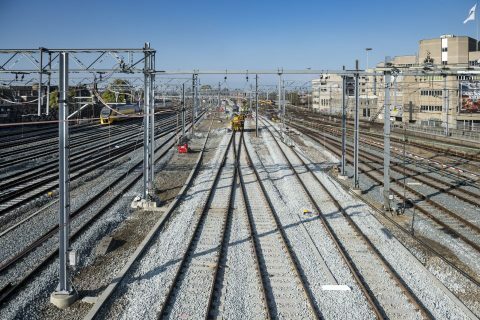 Instead of investing in heavy infrastructure investment, the infrastructure managers and railway undertakings may increase train frequency by implementing ATO,” the Alstom’s expert noted. The ATO implementation requires investments in special devices and technologies that also consume energy. Mr Bienfait believes that their energy consumption is not comparable with the energy use of the ordinary trains. “The level of consumption of train traction and much higher than the energy consumption of a computer. The business case is easy to build in this case. Nevertheless, it is always interesting to reduce the number of computers onboard. ATO may be implemented on a separate computer, on the ETCS onboard computer or on the TCMS platform. 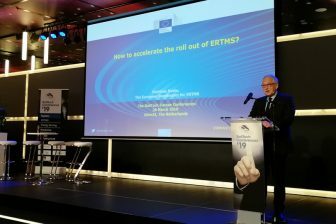 It depends on the train itself, the requirement of the customer, the suppliers of the train, ETCS and TCMS (Train Control Management System – RailTech),” the expert concluded. Benoît Bienfait will give a presentation ‘ATO up to GoA4: from dreams to reality’ during the RailTech Europe conference. The programme can be found on the event website.